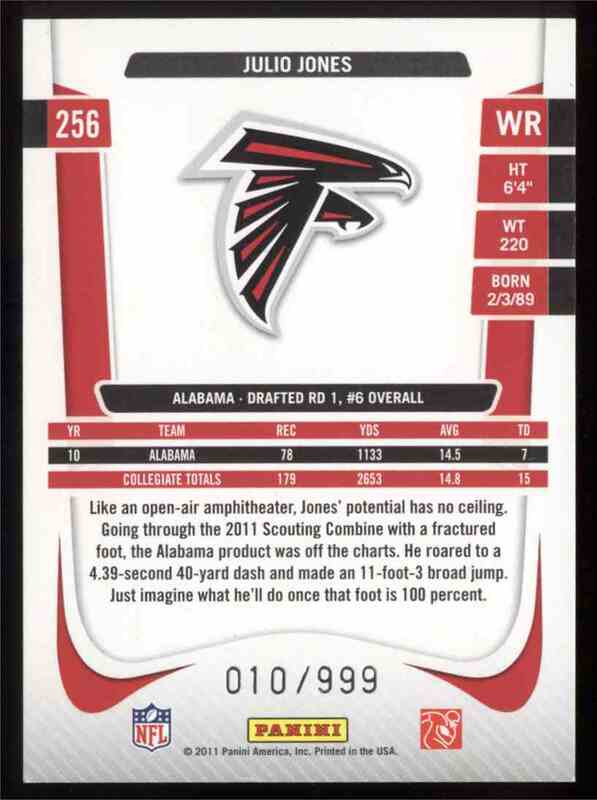 This is a Football trading card of Julio Jones, Atlanta Falcons. 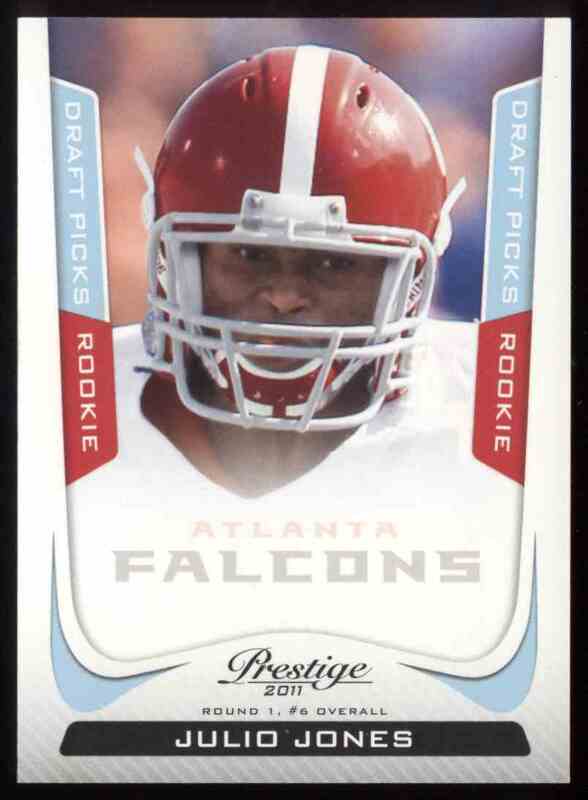 It comes from the 2011 Panini Prestige Draft Picks Light Blue set, card number 256, serial numbered 010/999. It is for sale at a price of $ 3.85.